Bonjour! Just a quick note to say that the Kickstarter campaign to raise funds for restoring Georges Méliès’s dilapidated grave in Paris’s Père Lachaise cemetery goes live today. I wrote about this campaign, which was launched by the film pioneer’s descendants, in the Guardian last week. The crowdfunding campaign launches today on 26 March 2019 and will run until 18 April 2019. Here’s a link to the Guardian piece if you missed it. Visit the Kickstarter page now to read more and to contribute. The Georges Méliès Project is dedicated to preserving the legacy of the great filmmaker. Not all of Silent London’s best-loved festivals are devoted solely to pre-sound film. A longstanding favourite here at Silent London HQ is the wonderfully glamorous Fashion in Film Festival. This event’s focus on cinematic design and unforgettable visuals, plus its enthusiasm for digging into the archives, means that silents often feature, of course, but it is always a wide-roaming affair. And this festival is a beautiful thing, a jewel in the London repertory film calendar. This year, the Fashion in Film Festival will take place in London venues from 19-26 March. The full programme has not been unleashed yet, but I do have reason to believe a silent or to may be on the cards. I’m posting today because the Fashion in Film Festival is asking for a little help this year. The organisers have launched a Kickstarter to raise £5,000 before the event begins. If you support them, rewards range from designer knick-knacks such as an Eley Kishimoto tote bag, a copy of the fantastic Birds of Paradise book and tickets and passes for the festival itself. Hurry, the festival passes are running out! The festival celebrates our last ten years and EVERYONE who has been involved in making it a success, contributing or holding our hand. We have lined up an ambitious programme, co-curated with the wonderful Tom Gunning, including an exhibition and some 28 events, with fantastic speakers and some true archival gems we think everyone must see. But some of this is in danger due to a dire funding landscape in the UK. It has been a really tough year! Our programme features cinema’s well-loved as well as neglected masterpieces (Parajanov’s The Color of Pomegranates, Ophuls’ Lola Montes, Hitchcock’s Vertigo, Leisen’s Lady in the Dark, Protazanov’s Aelita), artist films (by Joseph Cornell, Jane and Louise Wilson, Cindy Sherman, Michelle Handelman, Jessica Mitrani), fashion films (by Nick Knight and Lernert & Sander), industry films and many archival gems. There will be talks, film introductions and panel discussions. As special highlights we are staging two film-based performances – with Rachel Owen (at Genesis Cinema) and with MUBI and Lobster Films (at the Barbican). If you can spare a little money for the festival, I am sure it will be hugely appreciated. Just think of it as paying for your ticket in advance. I did! This is a topic close to my heart, and hopefully yours too. 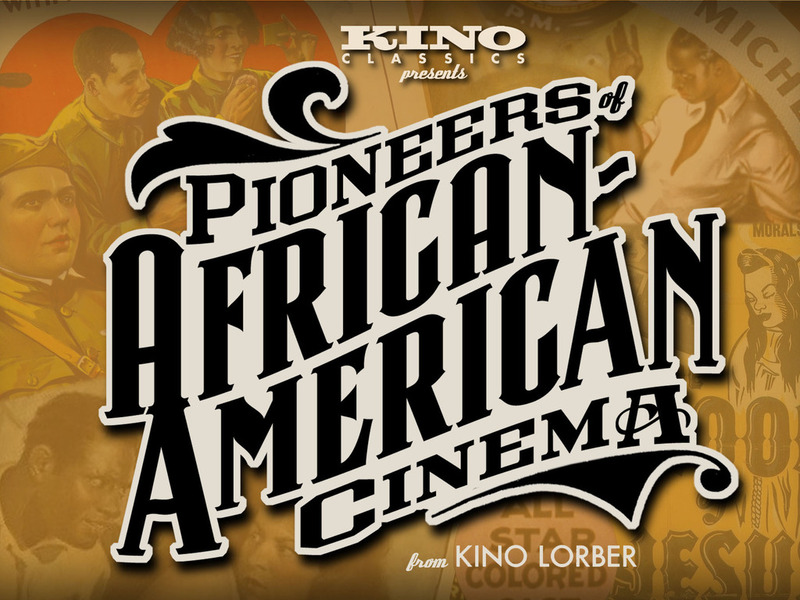 After a successful campaign to produce the handsome Pioneers of African-American Cinema box set, Kino Lorber are back on Kickstarter with another project that makes film history a bigger, more inclusive, and more representative space. This time, Kino Lorber is coming for the women, with a set called Pioneers: First Women Filmmakers. Has someone reminded you recently that more women worked in creative roles in the film industry during the silent era than do today? It’s a boggling fact, but it’s true. And keep repeating it, please. On the one hand, that titbit should spur today’s business into some serious equality action, now. On the other, it means we have a lot (I mean a LOT) of great but neglected work by female directors, screenwriters and producers to look over. 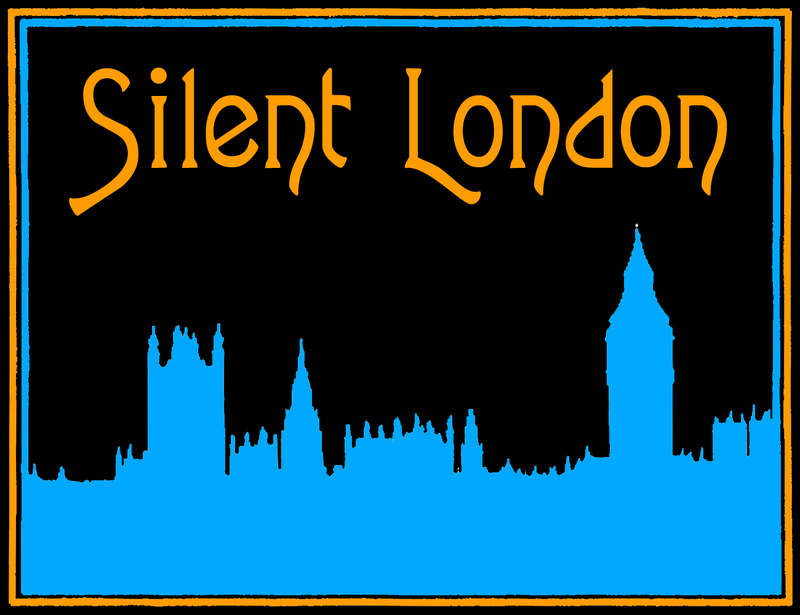 This is a guest post for Silent London by Ben Smith. When Kevin Brownlow was in LA in the 1960s, interviewing cinema veterans for his unrivalled history of the Hollywood silent era, The Parade’s Gone By, there was one important figure who declined to be interviewed, Frances Marion. Brownlow admits he would have pursued her much more vigorously if he had only known then what he does now. At that time Marion was writing her memoir, Off With Their Heads! Marion wrote some of the silent era’s biggest hits, among them screenplays for Mary Pickford and Douglas Fairbanks. Early on she established an extremely successful working relationship with Irving Thalberg, and became MGM’s premier screenwriter. She found love with a former Presbyterian Minister, Fred Thomson, and helped build his career as an actor who starred in 24 westerns. Thomson’s fame in 1927 was second only that of Tom Mix, but his stardom was cut short by a contract wrangle with the banker and film financier Joseph Kennedy (JFK’s father and a man who both simultaneously swindled and reformed the studios). Fred Thomson’s death in 1928 – variously recorded as the result of tetanus, gallstone surgery and tuberculous – left Frances Marion a bereft widow and the single parent of two children. Marion, was more than stoic in her refusal to be held back by tragedy and continued to stay at the front of her craft, being the first woman to get a solo screenwriting academy award for The Big House (1930) and another for The Champ (1931). In 1925, the year that F. Scott Fitzgerald published The Great Gatsby, Marion published her debut novel Minnie Flynn, the story of an uneducated working class girl who gets a break in the New York movie world before finding fame and fortune in Hollywood. Like Gatsby it was a story about new money, unfettered morals and collapsing class boundaries. Unlike Gatsby it wore its debt to melodrama on its sleeve. This unusual book, unique among the quietly burgeoning genre of the Hollywood novel for depicting the New York/New Jersey film industry, has been forgotten by history. 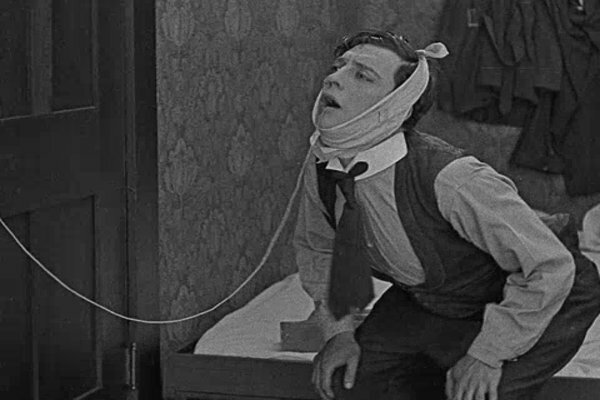 Here at Silent London we are big, BIG, fans of the Slapstick Festival in Bristol. It is a friendly, wide-ranging event, run by beautiful people, in a great city – and it always tickles our funnybone. If you’ve ever been lucky enugh to attend you’ll know that it is a pretty special special festival, which doesn’t cut corners. Top-quality prints are shown accompanied by first-rate musicians and introduced by people who are experts or celebrities – or sometimes both. And that’s not easy in these tricky times, so this year the Slapstickers are asking for a little help, from you. The Slapstick festival crew have launched a Kickstarter appeal to cover some of their costs, and they would love it if you could support them. The money will go to very good causes including more live music and affordable tickets for kiddies. As it’s a Kickstarter your assistance will be rewarded by some fabulous gifts, from kazoos to custard pies to the chance to meet a VIP – even Morph himself! 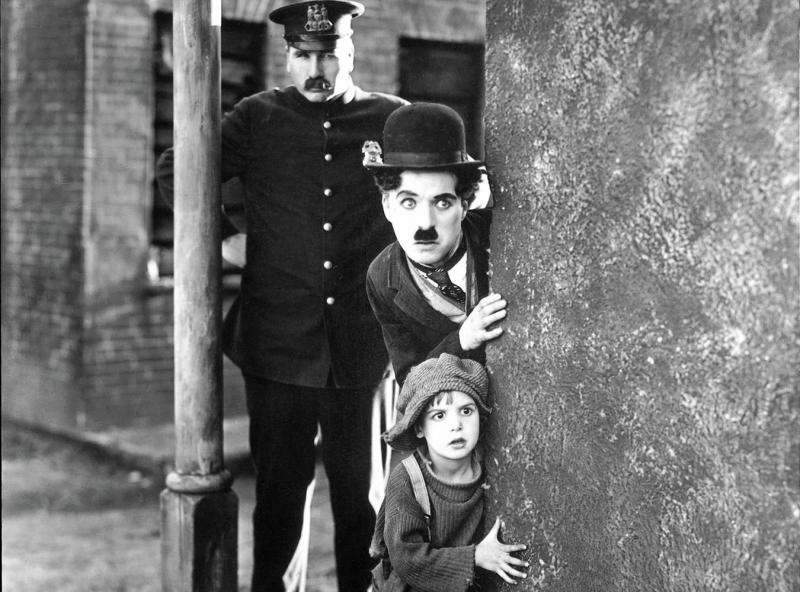 As for the more tradtional way of showing your support, tickets are now on sale for the festival gala, which will feature Chaplin’s wonderful The Kid among other treats. Find out more about the Slapstick Kickstarter here. I reported on one Buster Keaton restoration project in the summer – and now there is another one. This one comes to us courtesy of the fabulous Lobster Films in Paris, and proves that there is more than one way to skin a cat. This project has both a narrower and a wider focus – the aim is to complete restorations of Buster’s short films only, but the list runs to 32 and includes those that he made with Roscoe Arbuckle, such as his movie debut, The Butcher’s Boy (1917). And Lobster will be taking elements from archives and collections around the world, to get the best possible result. Not only that, the team will be commissioning new scores for all the films that they work on. Can you ever have too much Buster Keaton? I will let you decide that for yourself, but just think that if you do cough up, wherever he is, old Buster might look down on you and smile. Almost. Have you ever heard that phrase “pale, male and stale”? I don’t really like it myself, but it has its uses. It’s how us hardbitten hacks like to oh-so cynically refer to the Establishment with a capital E – the Etonians in our cabinet, the stuffy old geezers at the top of our legal system, the posh “luvvies” winning all the big arts prizes. It’s not that we don’t like old white men, it’s just that the world is bigger than that, right? So, we want the people who represent, protect and entertain us today to reflect our own diversity – that’s a no-brainer. Sometimes it seems as if there is a long way to go, but we shouldn’t “whitewash” history either. There are a whole range of factors at play here, but the simple fact is that it’s too easy to forget to contribution made by women, people of colour and other minorities to our cultural past. Picture a silent movie set, and you’d be forgiven for visualising a sea of white faces, and a chap in riding trousers calling the shots. But the truth is more complicated, and more exciting, than that. A new venture from Kino Lorber is intended to push that “pale, male and stale” image right out of our minds. 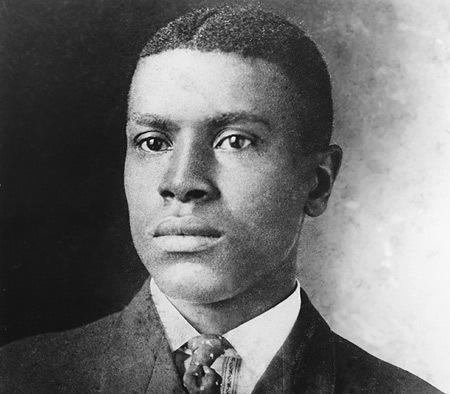 The American label is collating a box set of movies from the earliest African-American film-makers – from Oscar Micheaux to Maria P Williams. If you didn’t know there were any – well, that’s understandable, but now you know that there were, you should be intrigued. And if you are intrigued, or if you are punching the air and shouting “Finally!”, there’s good and bad news to come.